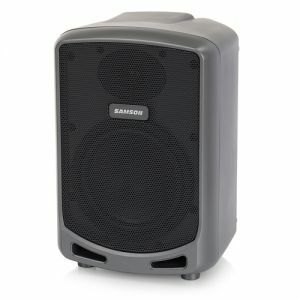 Portable, Quality Line Array Sound! Bose® L1® Compact Sound System offers the high performance of Bose® sound in one lightweight portable system! The Bose® L1® Compact Sound System is lightweight and compact to take anywhere, yet still powerful enough for quality sound to up to 100 people or even up to 200 people. The system offers interlocking components for easy transport. Plus it has a full line array speakers system that provides wide, uniform coverage over your entire listening area. 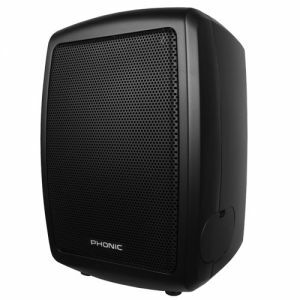 It is fully powered and has a two channel mixer with ToneMatch® presets and a 6 speaker line array. Take the Bose® L1® Compact Sound System with you anywhere you need live, portable, quality sound! Channel ToneMatch Presets - Channel 1: ToneMatch microphone equalization is always engaged on Channel 1 and cannot be bipassed. - Channel 2: Switch provides ToneMatch equalization only to the 1/4" input. This preset is designed for an acoustic guitar with a piezo pickup engaged.